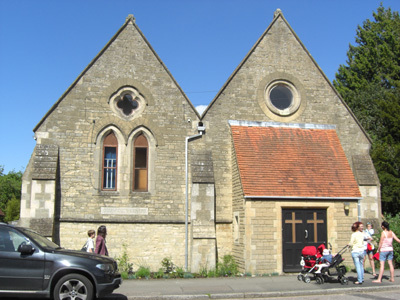 The Greek Orthodox Church acquired the Swinfen Harris Hall in August 2010. Formerly it was a Parish Hall. 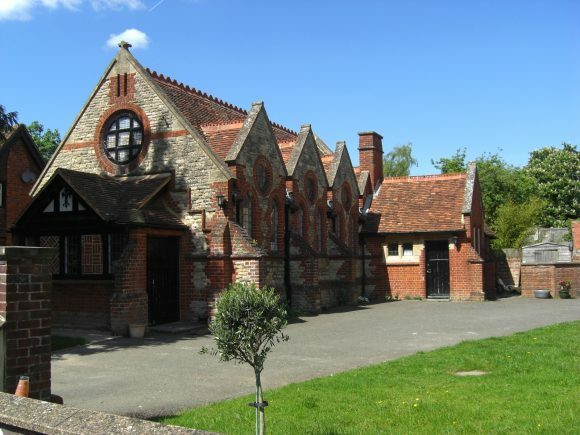 This beautiful listed building was built in 1892 by the famous local architect, Swinfen Harris. This was restored in 2013 and there has been extensive restoration work done including the kitchen refurbishment. It was adjacent to the St. Mary the Virgin Church which had lost it’s ecclesiastical status in 1964 due to a fire in St.Giles Church. After the restoration, St.Giles became the sole church of the town again. 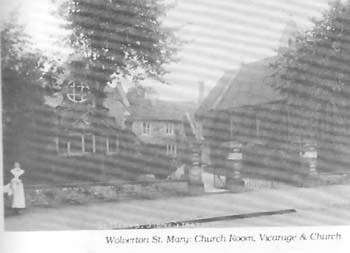 The photograph shows that some of the old cottages north of the church must have been demolished to make room for the Church Room which is known as Swinfen Harris Hall. The landscaping of the rear garden has been completed and there are extensive grounds. There is a spacious garden at the front and quite a large rear garden . Paved access from the side of the Hall is available. Several different groups hire the Hall regularly and it is available for functions. I held a Vintage Birthday tea there which 50 friends attended.We decorated the hall with bunting and balloons and displayed my Birthday cake as a centre piece. My friends said how they had enjoyed the event and we had positive feedback about the venue. I have practised Tai Chi here at various times of year and enjoy the cosy atmosphere. Also the Riverside Parks Group (which I am a member of) rented the hall for an Acoustic Music evening to raise funds for the group. From previous personal experience, I thoroughly agreed the venue was a good choice. It was extremely successful and a good time was had by all. The Greek people who let it out are always hospitable and helpful. I am pleased that this hall has been a welcome addition to my local town.